Stromer of Vista, Calif., is recalling about 195 Stromer ST5 electric bicycles. The firm has received one report of a stem breaking. No injuries have been reported. 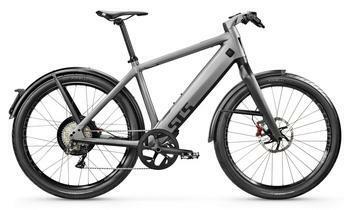 This recall involves all Stromer ST5 pedal-assist electric bicycles sold in a black or gray aluminum frame. The e-bikes have hydraulic disc brakes, an integrated lithium battery located inside the down tube, a motor on the rear hub and a three-button switch on the handlebars. Stromer is printed on the top tube of the bicycle frame and on the seat and chain guard., with ST5 printed on the downtube. Vehicle Identification Number (VIN) TBNST5S700SJA0001 through TBNST5S700SKF0065 is etched on the bottom of the right-side chainstay. The bicycles, manufactured in Switzerland, were sold exclusively at Stromer authorized dealers nationwide from April 2018, through February 2019, for about $10,000. Consumers may contact myStromer at (800) 819-4262 from 9 a.m. to 5 p.m. (PT) Monday through Friday, 9 a.m. to 5 p.m. (PT) Saturday and Sunday, by email at stem@stromerbike.com or online www.stromerbike.com and click on “Voluntary Product Recall” at the bottom of the page for more information.